We started designing, manufacturing, and selling steel pallet logistics containers used for transport by shipping container or truck in 1971. Our logistics containers are now used for various types of land and sea transport in Japan and abroad, including major automobile manufacturers. 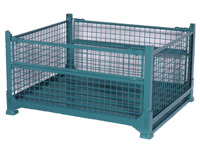 We utilize our in-depth expertise and experience and offer optimal steel pallets for global supply chain management. 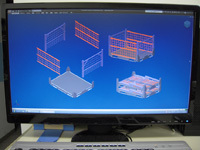 Our highly experienced design engineers listen directly to the needs of our customers and propose or develop new optimal products for their requirements. 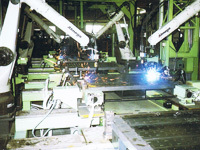 We manufacture in-house using the techniques of our highly experienced engineers and automated facilities for each characteristic of our products. 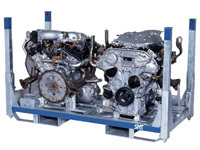 We offer the highest level of quality, delivery, cost, and service (QDCS) through our in-house development and manufacturing. 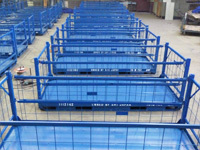 Standard pallets used as returnable pallets* for sea transport of container modules**. 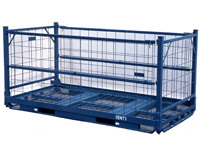 Standard pallets used as returnable pallets* for domestic transport of truck modules**. We custom-make the most suitable logistics container to maintain product quality. Please feel free to contact us to clarify any product information.